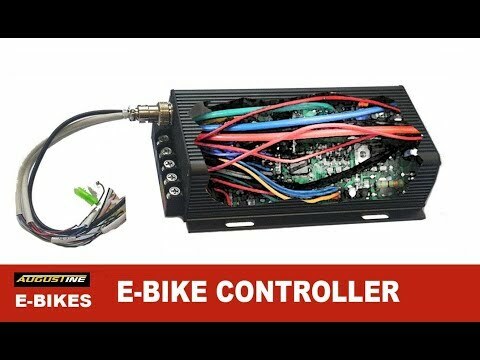 What’s inside your Ebike’s Controller? Because of break through technology developments over the last several years, there is a wide range of options available in electric bike, motor, and battery technologies. These technologies have made E-Bikes faster, more powerful, safer while going much further than ever before. If you love cycling and haven’t tried an E-bike you don’t know what you’re missing. SUBSCRIBE to our channel so we can keep bringing you the latest on the world of E-Bikes! We’re Dave and Kirby, 2 guys based out of Visalia and Santa Cruz, CA. and we are Augustine E-Bikes. We’ve known each other for years. We are proud to offer a range of electric bike solutions designed to help you ride the way want. We ride these ebikes everyday and test them under every kind of condition. We really enjoy making these videos for you on youtube putting these bike through their paces. These are serious bikes for people who want to get the most out of the Ebike experience.